One last tip I neglected to mention in the video: You may notice when purchasing a UPS (battery backup) for your puter that they are rated in VA (volt-amps) instead of Watts. VA is basically apparent power, and W is real power. 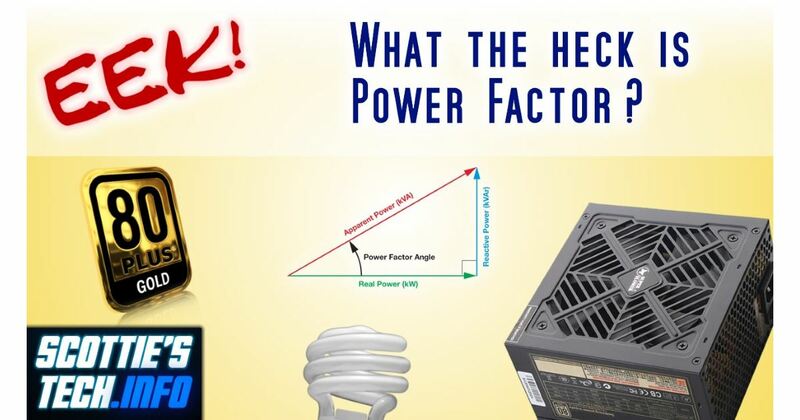 So, a 500VA battery backup will not supply 500W, but less than 500W due to power factor. 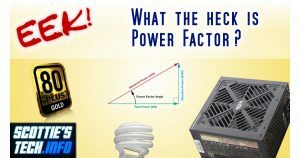 How much less real power the UPS can supply depends on the PF of the load (computer and monitor) attached to the UPS. ← Blank screen after upgrading graphics card: Uh-oh?